The Allgäu highlands is an area of sheer magnificence in Southern Germany, spilling over to Austria. Allgäu is one of the most popular year-round holiday destinations in Europe, thanks to its dramatic landscape, royal castles, delectable cuisine, wellness options and sports opportunities. Let’s explore the highlights of this idyllic location. The Neuschwanstein Castle has probably witnessed more jaws hitting the ground than any other castle in the world. 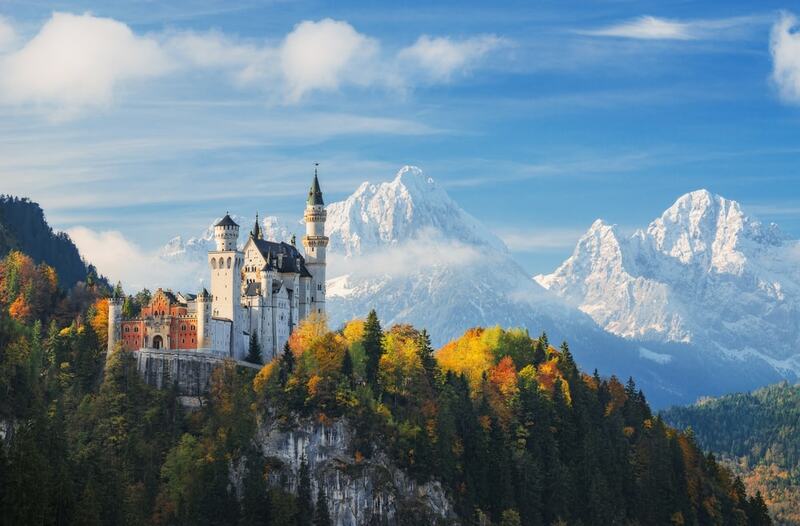 This stunning fairy-tale castle commissioned by eccentric King Ludwig II seems to rise out of the green valleys against the backdrop of the imposing Alps, adding up to a magical setting that remains etched in visitors’ minds for years. Don’t miss taking a guided tour of its lavish interiors. Also, enjoy a perfect shot of the castle from the bridge Marienbrücke. The sparkling blue expanse of Forggensee laps the foothills of rolling uplands dotted with adorable mountain hamlets, and looks out to the Bavarian Alps. One of the most pristine spots to enjoy a lazy picnic or a quick dip, it also doubles as an excellent spot to indulge in sports throughout the year. Oberstdorf is a romantic village whose idyllic setting is just perfect to disconnect yourself from the stress of the daily grind and bond closely with nature. On a clear day, Oberstdorf promises you an overwhelming view of almost 400 misty mountain peaks. Additionally, you get to enjoy sunny days (even in winter), clear skies ablaze with a million stars, pure air and the freshest food. Allgäu is a dream come true for hikers, offering an almost unmatched diversity of landscape. Depending on your level of stamina, you can choose from the easy strolls along lakes, alpine walks or the high-altitude tours. No matter which you do, unparalleled panoramas are guaranteed at every turn. Breitachklamm Canyon is the deepest canyon in Central Europe and a truly magnificent sight, created over thousands of years by water rushing over rocks, eroding them in the process. Visitors are welcome to feast their eyes of this natural spectacle from wooden walkways built over the length of the gorge. While Allgäu is a summer paradise, it transforms into a magical winter wonderland in the colder months. Other than offering breathtaking views of the snow-blanketed landscape, the region offers excellent conditions for skiing, snowshoeing, tobogganing and romantic carriage rides. Among the several ski resorts in the region, the most popular are Fellhorn/Kanzelwand – Oberstdorf/Riezlern, Ofterschwang/Gunzesried – Ofterschwanger Horn and Diedamskopf – Schoppernau. The Hohenschwangau Castle is yet another castle in the region that seems to have been created with a magic wand rather than human hands. It perches in lush green valleys surrounded by craggy cliffs and looks out to the mirror-like waters of Alpsee. Visitors can take a guided tour through the royal interiors of this 19th-century castle. 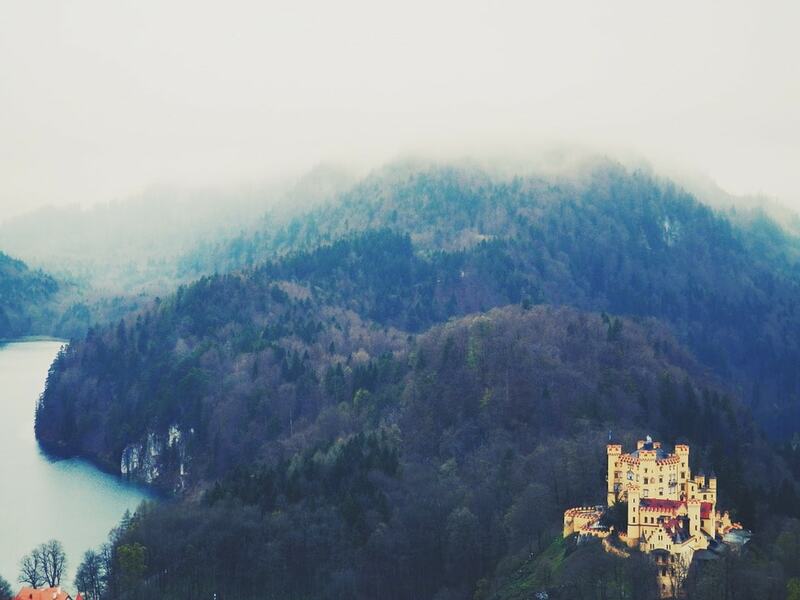 Also, catch an incredible view of the castle from Neuschwanstein castle. The Alpsee looks more like a painting than a real lake, in the lap of green hills and dense forests, protected by the gigantic Bavarian Alps. This is an ideal spot to spend a few quiet hours, take a stroll, go on a leisurely boat cruise or have a meal at one of the many quaint restaurants and cafes. 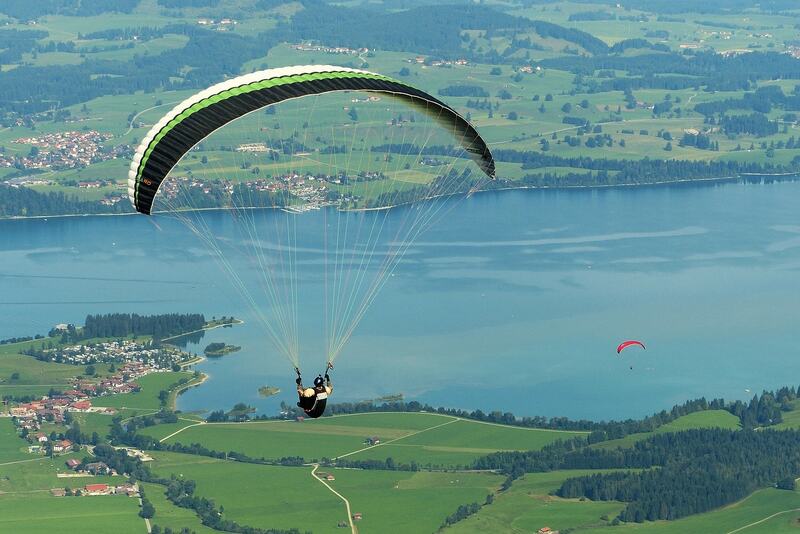 The more active travellers can opt for a number of summer and winter sports around the lake.